Dental tourism and Guatemala are words that go together. The country is fast catching on among citizens of the Global North for its quality dental care and world class sites for cultural tourism and adventure. Thus, getting dental work done and seeing some of the most fascinating destinations in the Americas is a win-win situation in all regards. For those sitting on the fence about Guatemala, below are 8 compelling reasons for choosing the country as your affordable dental destination in Latin America. All of the DTS vetted dentists in Guatemala work to the same standards as first class dentists in the developed world. In fact, several accomplished dentists we work with studied in the US, hence, they are just as good as any other dentist in US or Europe. 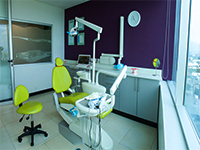 The clinics we recommend are modern facilities with the latest dental technology. You will also find that the dentists are very friendly in Guatemala, they are patient with internationals and they will answer queries that you may have with respect to the treatment that you will be undergoing. A common misconception, often propagated by the guardians of the expensive US system, is that since a procedure is performed at a lower cost that the quality is compromised. However, in Guatemala the standards of care equal or exceed international standards in our select clinics. 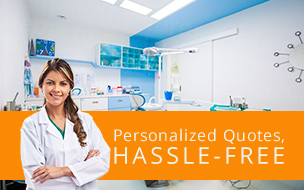 The dentists in Guatemala follow international Best Practices but at a lower cost. The overall cost of getting most dental treatments done in Guatemala is 50% less than in Canada or the US. The operating costs in Guatemala are free from Obamacare and other tax and needless regulatory overhead. Thus, one can finance a wonderful vacation out of the savings and this is even after a discount flight from the US or Canada. Guatemala is a beautiful country. Antigua has some of the most important and beautiful colonial-era architecture in the Americas. The volcano tours are other-worldly. And Tikal is a UNESCO World Heritage Site. Never mind the indigenous cultures, the good food, the tropical rain forests, and the cool night time air; yes, everything is quite easy in Guatemala. There is no reason to fear any ‘barriers’ as most dental professionals in the country speak excellent English. Hence, travelling alone to the country too doesn’t pose as a big problem. There are a number of very good hotels throughout Guatemala with price ranges to match any budget. The nice hotels in Guatemala City and Antigua are quite affordable and if you have a few days between procedures you may want to visit Lake Panajachel for a few days of R&R. The small city and surrounding villages are popular with long-stay visitors and retirees. It is an idyllic lakeside community. Guatemala has a colonial history that started in 1524. There are several structures built during this period that remain today. As mentioned, Antigua has been designated a UNESCO World Heritage Site, “Heritage to Humanity”. But Antigua is just the most famous of the colonial-era cities. Throughout the country you will find fountains, buildings and churches dating to the colonial period, as it you have been transported to colonial Spain 300 years ago. And you may just be tempted to stay longer. One of the most spectacular sights of nature is the volcano. 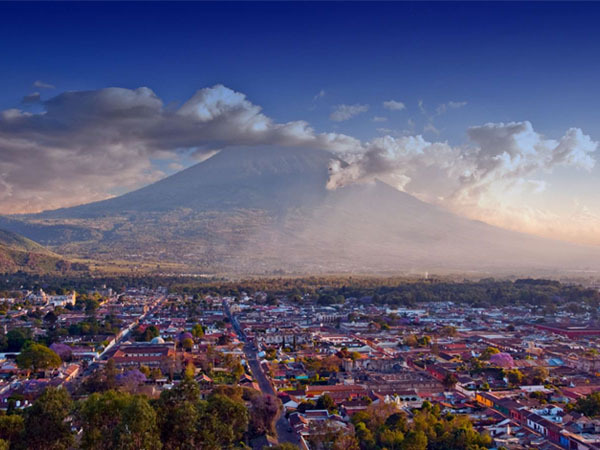 Guatemala, situated on the Ring of Fire, is endowed with some of the most beautiful and active volcanoes in the Americas. Two of the most famous active volcanoes are Fuego and Pacaya. Fuego is one of the most active in the Americas while Pacaya is just one of the most active in Guatemala. Popular with volcano enthusiasts and photographers, these two volcanic mountains along with the smaller Santiaguito are favorites of visitors to Guatemala. The latter erupts quite frequently so it is not for the faint of heart. See Volcano Activity Worldwide in interested in a visit. For the self-financed dental traveler Guatemala is hard to beat: affordable, qualified dental care professionals and many things to do and explore in one’s free time. There are cheap flights from Canada and the US East and West coasts, and overland travel and long-stay options are plentiful. Please see our Guatemala Dental Clinics for more information.